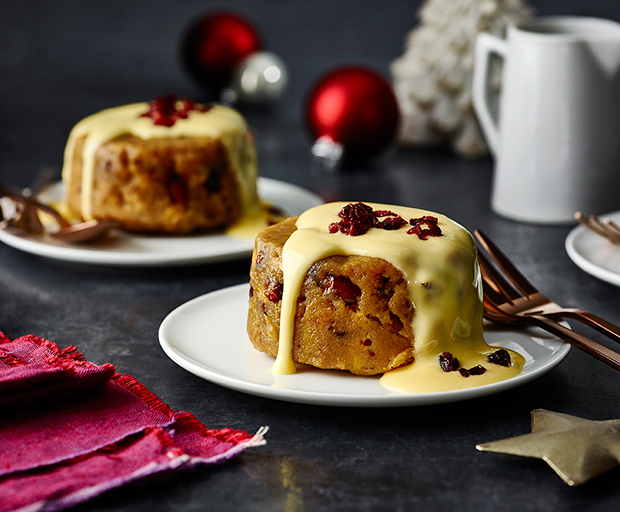 Shake things up with these non-traditional Christmas puds. Every now and then you’re allowed to indulge, right? These delicious muffins will have you winning friends at work or on the playground. 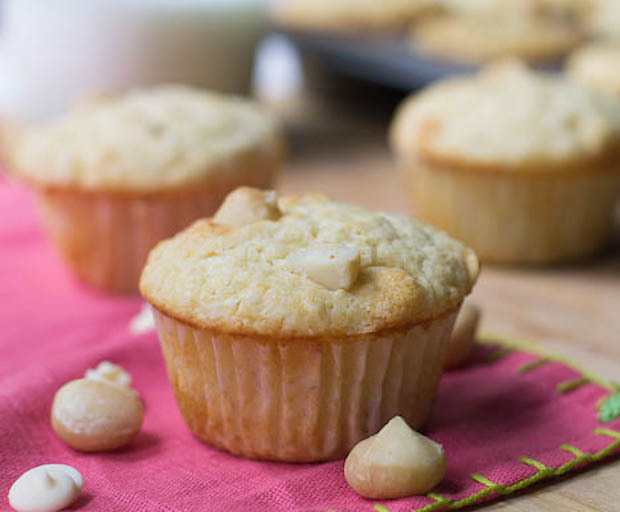 White chocolate and macadamia nuts are two ingredients that are meant to be together. Macadamia nuts are subtle in flavor and have a rare rich and creamy texture. They pair perfectly with white chocolate, which will take care of that sweet tooth of yours. The best thing about muffins or cupcakes is portion control – they are small and individually-packaged, allowing you to treat yourself to just one at a time. In a medium-large bowl, combine the flours and salt. Set aside. Cream the butter using an electric mixer. Once light and fluffy, gradually add sugar to the mix while continuing to churn. Crack eggs into mixer and keep slowly blending, scraping down the sides of the bowl as required. With mixer on low speed, add half-and-half and vanilla extract. Once added, increase speed to combine well. Add flour mixture and beat just until flour is incorporated. Using a spatula, fold in white chocolate and macadamia nuts. Evenly pour batter into muffin cups and bake for approximately 25 minutes or until golden.